Dr Bill (W. J.) Morris lives in happy retirement beside Houhora Harbour in the village of Pukenui, in the Far North of New Zealand. 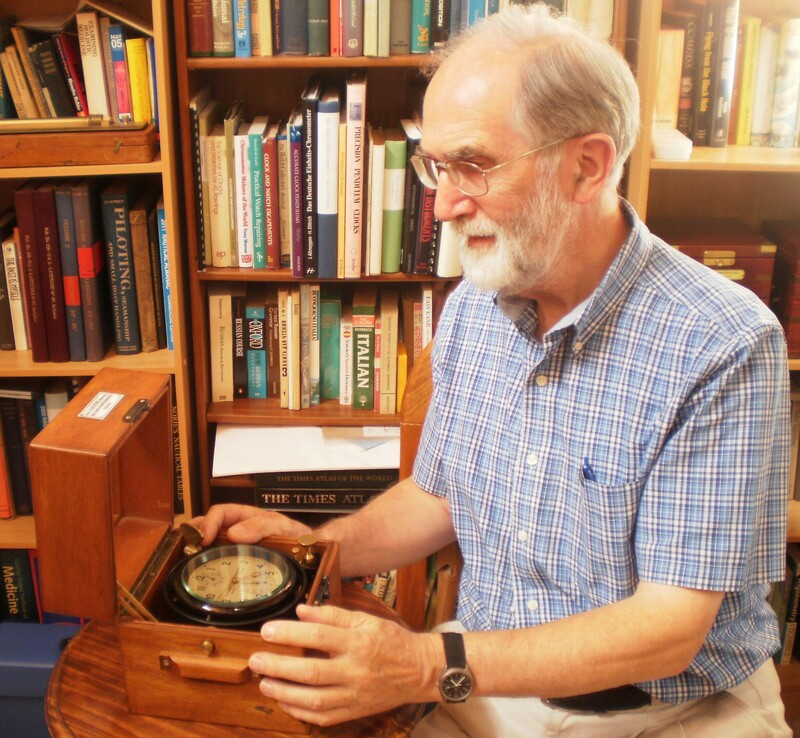 On a visit to the National Maritime Museum in Greenwich forty-five years ago he came upon a sextant made by Jesse Ramsden that piqued his curiosity. How was such an instrument made, and how was the fine scale divided with such accuracy? Thus began a long apprenticeship in small-scale engineering, fitted in with study in Cambridge and London and later while earning his living as a medical practitioner. A deep interest in engineering dimensional measurement, which aroused no interest in his family, led him to construct clocks, which are perhaps more interesting to most people than, say, making a face-geared indexing table. Construction of two long-case clocks led to claims on them by his daughters as future heirlooms. In all he has made every part of six clocks: two simple timepieces, a couple of striking table clocks, a Ferris wheel clock and a highly accurate astronomical regulator clock. He then moved on to restoring over sixty nautical sextants and eighteen types of aeronautical sextants, so that his mind and hands were well prepared when a good friend gave him a chronometer previously owned by her uncle. This is not to say that such a background is necessary to attempt the maintenance of a marine chronometer, provided that one has a guide, and it was the absence of such a guide that led him to research and publish the present book. While it is directed at the non-specialist, he hopes that the professional who only occasionally encounters a chronometer will also find it useful as a reminder. He has also written “The Nautical Sextant“, which seems to be well on its way to becoming a standard text, and numerous articles for a popular engineering magazine. As well as his workshop activities, he enjoys writing, walking in remote places and occasionally navigating, using sextant, chronometer and almanac. Excellent web site. ,I just acquired a Model 22 and am sorry I didn’t find this site sooner. I would have been able to instruct the seller how to cork the balance wheel for shipping. Hopefully the chronometer will survive the journey. Thanks Bill, for an excellent job on your web site. I am looking forward to seeing the book. You have a wonderful,very instructive web site. I shall be buying both your books,probably next month when my account has recovered from Christmas. Thank you so much for the information contained on this site. I was able to find a copy of Dr Morris’ excellent book at Barnes and Noble online and purchased it immediately. It is perfectly suited for someone like me, a hobbyist. There are numerous detailed colour photographs and well explained clearly written text. If you have any serious interest in these timepieces this book should be your first investment.